You all know how much I love a styling challenge, so when ThinkMoney asked me to put together a Summer outfit for £50 or less, I jumped at the chance what with holiday only being a matter of days away! The brief was to create a look suitable for the beach, a festival, day, night or work within the budget, and armed with £50 of Love2Shop vouchers I got to work! I knew exactly where I was going to hit for Summer style on a budget. Two words; New Look. 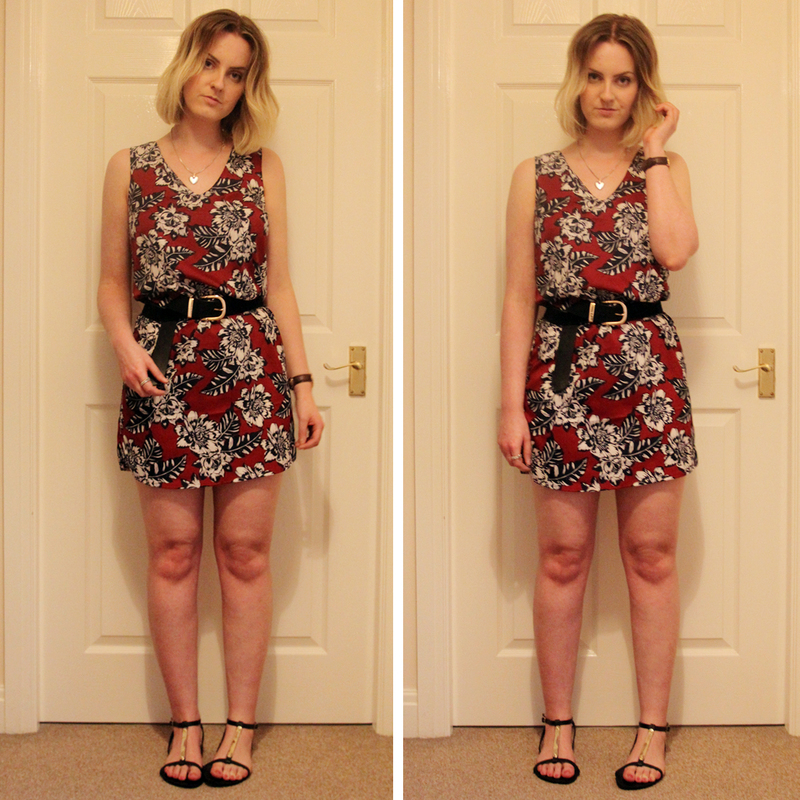 Now I knew New Look was pretty affordable (it’s one of my favourite haunts for holiday shopping because of it’s low prices and on trend pieces), but I didn’t expect to come out with 2 whole looks for just over £50! 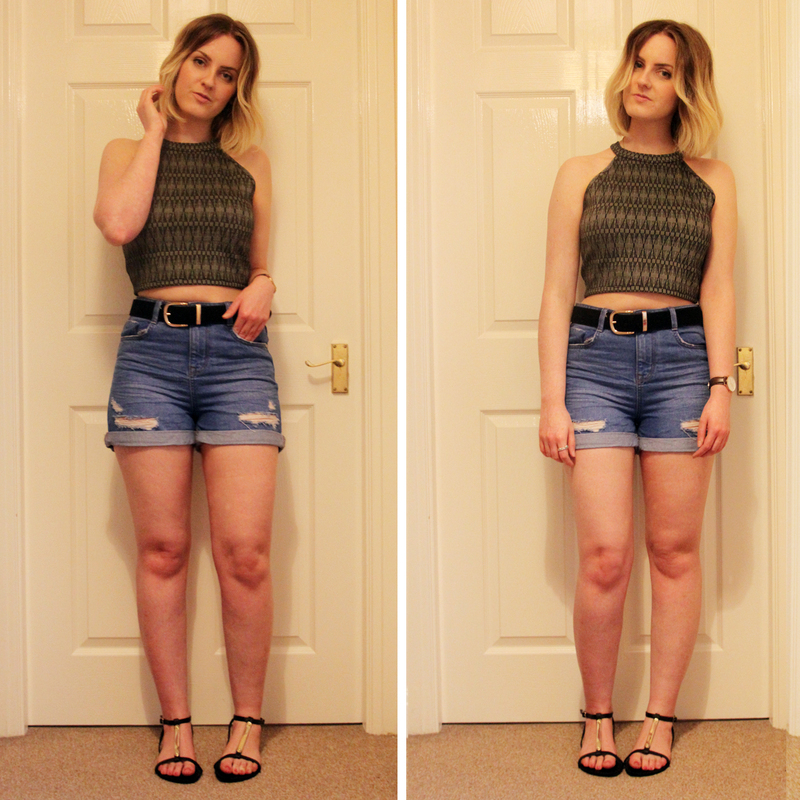 (I know, I know, the challenge was £50 or less, but technically I was way under budget with the first look, so…..) I decided to go with the festival theme for my initial look and already had in my head that I wanted some high waisted denim shorts paired with a crop top. Lucky for me, both were in a limited time 25% off promotion so they came in well under budget, with plenty to spare for a cool suede belt and some matching sandals. Armed with some change I set about looking for another piece to add to my look, however I wasn’t really feeling any of the other accessories, so was about to give up hope until I spotted this beautiful tunic dress over on the 25% off rail (aka the rail of dreams) and just had to try it on. At a teeny £9.50 I figured I could style it up with the accessories I had already bagged for a night look that would work either on holiday or on home turf, so hot footed it straight over to the tills. 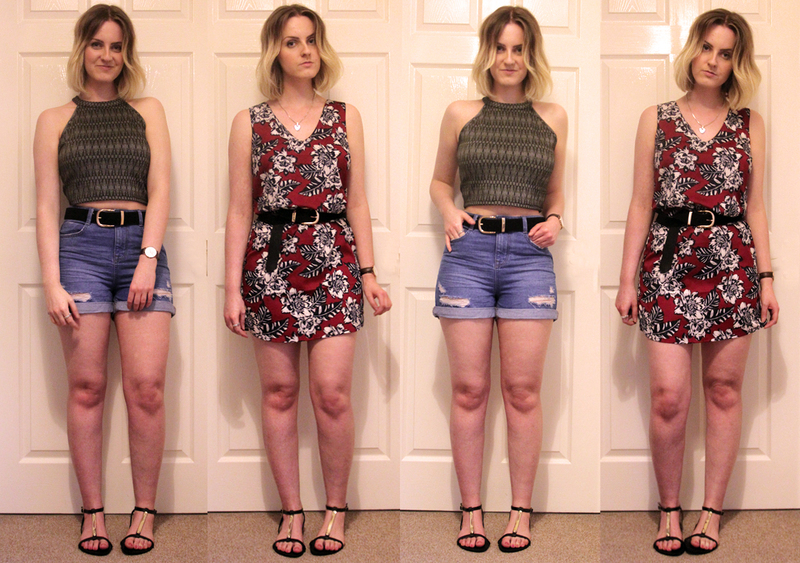 Overall I think I’ve (or rather New Look have) proved just how easy it is to find a whole outfit for less than £50 this season. My initial look came in at just £42.48, and for just another £9.50 that was easily transformed in to two completely different looks for different occasions. Admittedly I did have to add £1.98 to the pot to make up for the dress, but I just couldn’t leave that beaut on the rails! These are definitely coming with me on my hols next week! Take a look at some other outfit ideas from the lovely folk over at ThinkMoney for some budget-friendly inspiration! WHAT’S IN MY FLIGHT BAG? "WIN A GLAMPING GETAWAY WITH GET THE LABEL!"